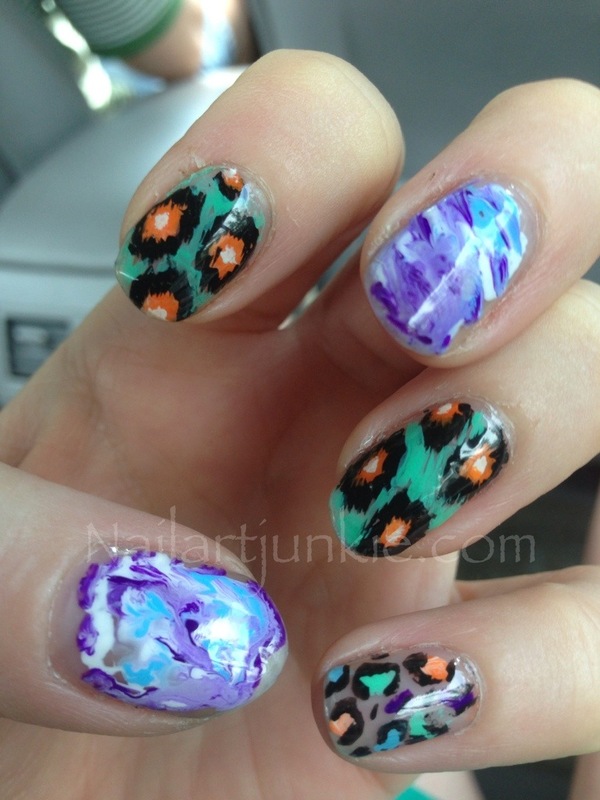 I have recently become obsessed with the Ikat pattern – maybe not some much in my wardrobe per say but more so as a nail art design. Instagram (and Tumblr and lets not forget Pinterest) have gotten me inspired. So this weeks Friday Files have a splash of color, a hint of fabric and a whole lotta of gouache paint. 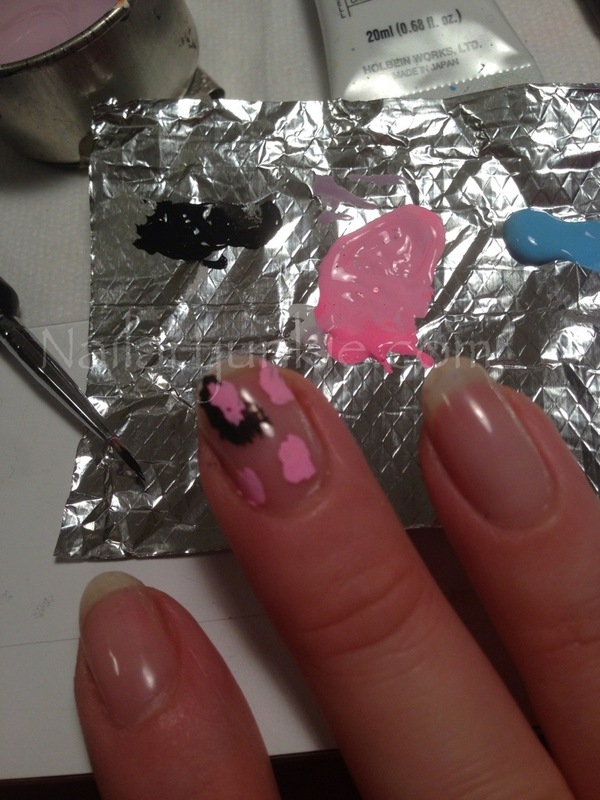 I used clear biosculpture gel as a base and a top coat for my design…and with that no polish was actually used in this design…it’s a gouache paint sandwich! 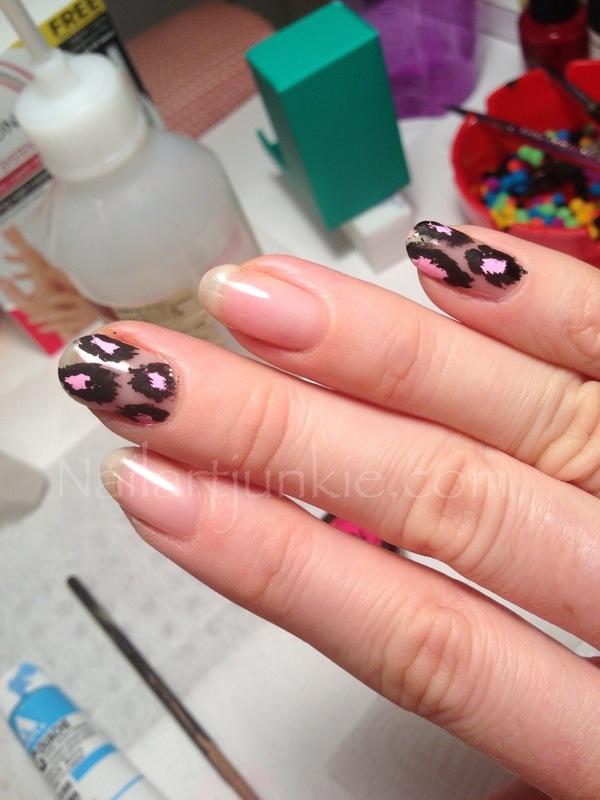 Basically the pattern resembles a large leopard pattern. 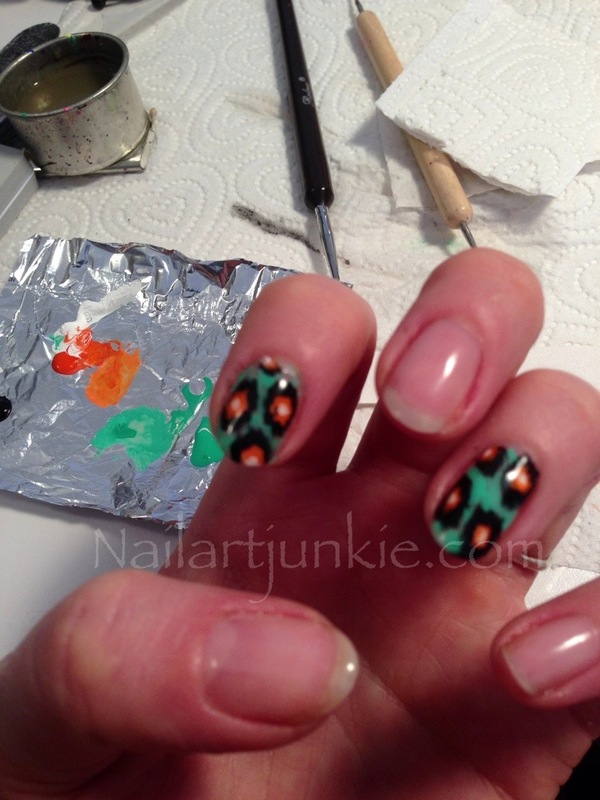 I used different colors for each hand for the Ikat. On the alternating fingers I created a Tye-died pattern inspired by the one piece of hippie clothing I own. 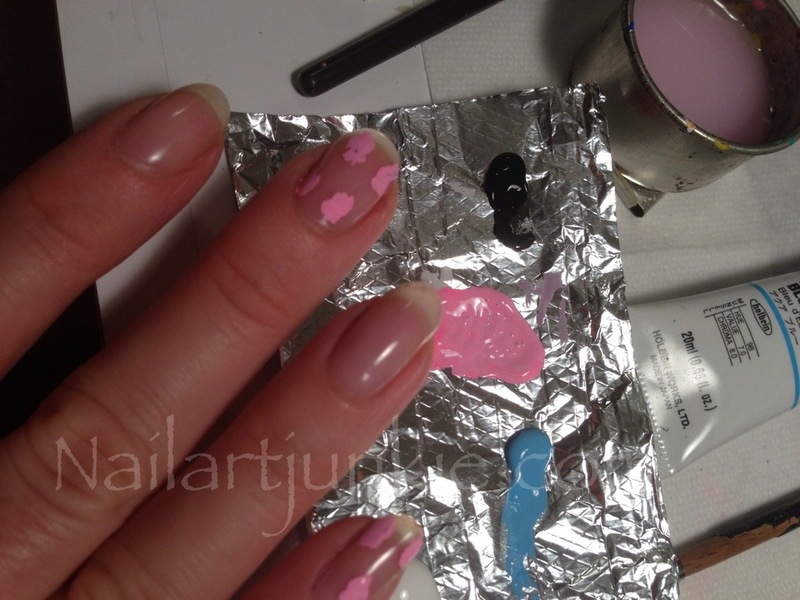 I start with the middle shade – for the left hand I used orange and white gouache to create a peachy tone and using a small paint brush I create little blobs of color in random patterns on my nail. I then used black gouache to out line those shapes but I kept the edges rough. Once both the peach and the black were dry I used a dotting tool to add white to the center creating an “eye” inside the blobs. (It’s very technical around here). For the background I sketched in a teal for the left hand and a sky blue on the right. 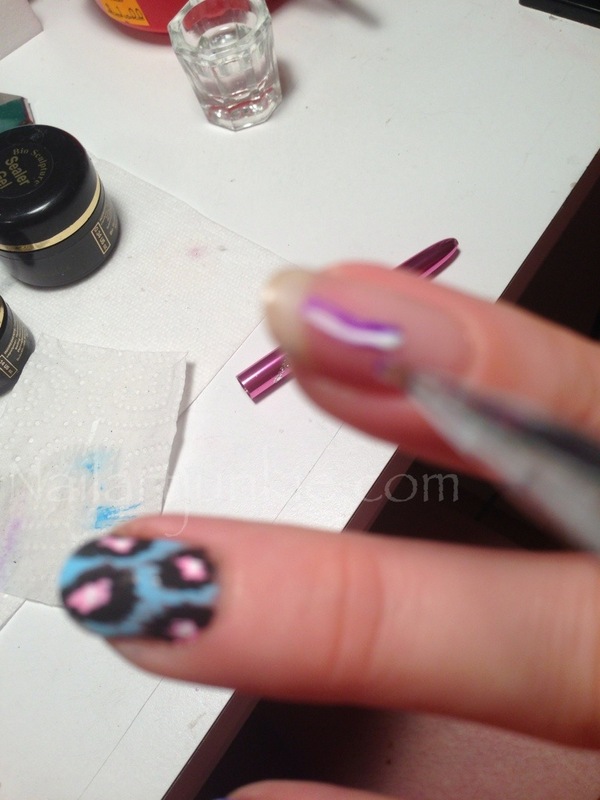 For the Tye-died effect I used violet, blue and white paints and a small paint brush. 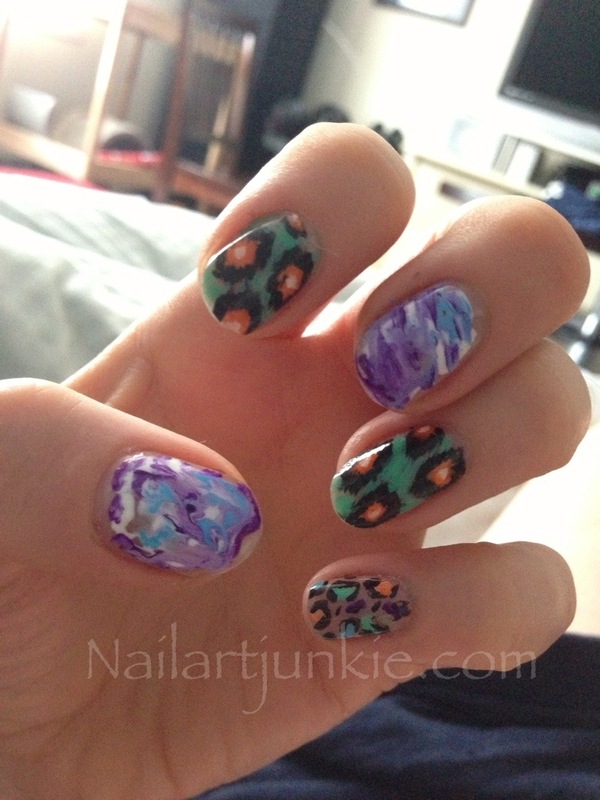 Swirling the colors around on the nail – its a step up from water-marbling and A LOT less messy. 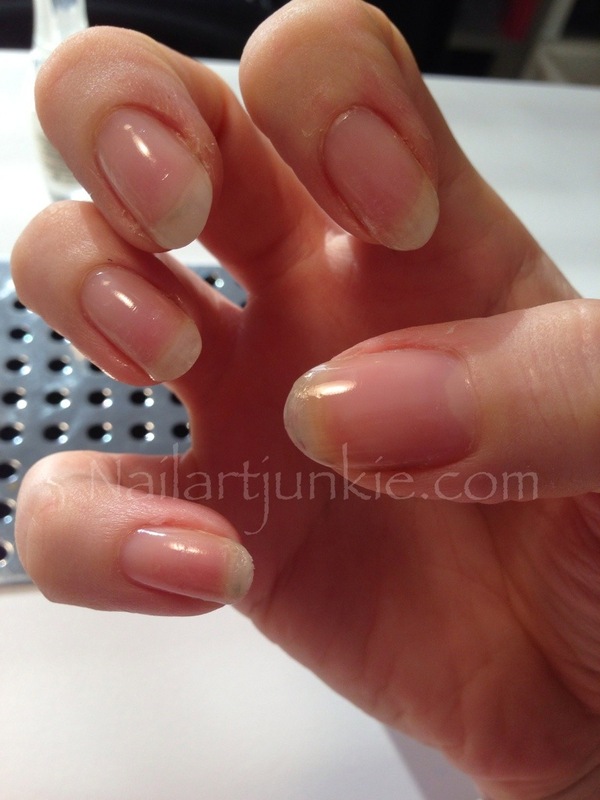 What I love about this set is that because the art was done over a clear nail – the outcome is very thin and natural looking and I have to say the art ain’t too bad either! 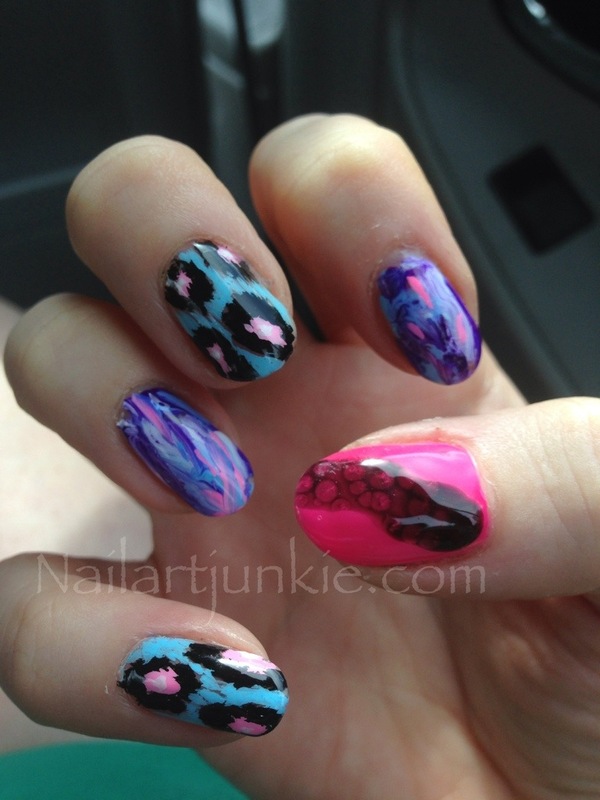 This entry was posted in Friday Files and tagged bio sculpture, friday files, gouache, hand painted, ikat, nail art, nail art junkie, tye-die by Keri Blair. Bookmark the permalink.